All staff photos published in the Record-Eagle print edition during the week of Jan. 3-9, 2010. Note: Some photos may not be available until late afternoon on the day published. Photos published on Saturday and Sunday may not be available until Monday. 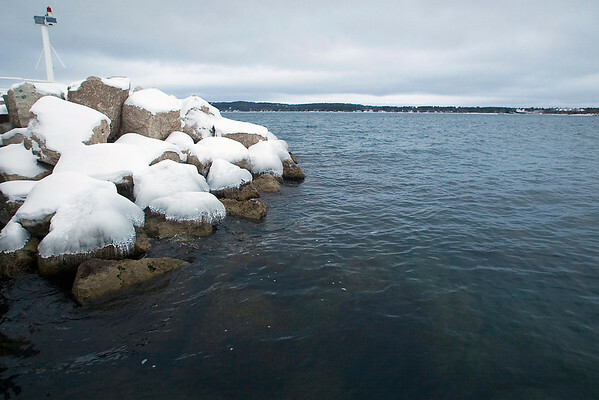 Snow and ice cover the docks and rocks at Traverse City's Clinch Park Marina on Grand Traverse Bay's West Arm Wednesday afternoon. Water levels are higher here and in the rest of the Great Lakes after being below normal two years ago.